The Quinny Footmuff is ideal for keeping baby snug while in a Buzz/Zapp/ZappXtra stroller in all weather. The footmuff was designed to be used in conjunction with a Quinny Buzz Stroller, but the universal design means it can be used with the majority of pushchairs. 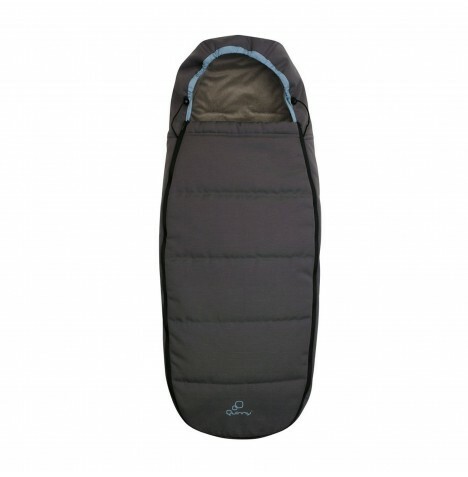 The cosy cocoon-like footmuff is padded with a snug fleece interior, and thanks to the pull-tie in the hood it snuggles around baby's head to prevent draughts. The front unzips making it easy to get baby in and out, as well as creating a liner for the warmer weather. The Quinny Footmuff comes in its own bag making it easy to store and you don’t have to worry about it getting dirty because the Quinny Footmuff can easily be machine washed and will looks just like new.